Financial advisers have been working under their new regulatory framework for nearly three years and many have changed the way in which they operate over that time. In 2011 the Code of Professional Conduct for Authorised Financial Advisers, which sets clear standards for the provision of financial advice, came into force. Financial advisers have been working under their new regulatory framework for nearly three years and many have changed the way in which they operate over that time. In 2011 the Code of Professional Conduct for Authorised Financial Advisers, which sets clear standards for the provision of financial advice, came into force. Since then, many advisers have been the subject of audits by the Financial Markets Authority to check on their compliance with the Code and legislation such as the Financial Advisers Act (2008). The FMA continues to work on policies and regulations that will broaden the regulatory framework for advisers. The administrative and financial burden of complying with the new framework has seen many advisers either leave the profession or align themselves with an adviser group to access support and share costs. Sole practitioners are becoming a rarity. Perhaps the most interesting changes is that investment advisers are more reluctant to construct and manage client investment portfolios comprised of direct investments in specific shares and bonds or single sector managed funds (that is, a fund that invests in only one asset class such as shares). Instead, advisers are increasingly recommending ‘model’ portfolios developed by research houses or diversified managed funds within which the fund manager makes decisions about the underlying investments and changes to the asset allocation. 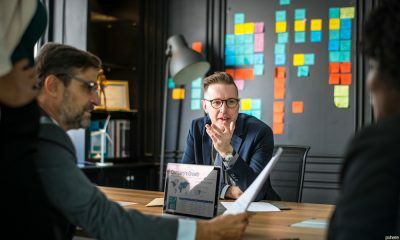 The role of financial advisers is becoming one of working with clients to understand their needs, matching them with investment solutions researched and recommended by technical experts, and broadening out the range of advice in a holistic way to cover such areas as achievement of goals, budgeting, estate planning and general financial advice. This is as it should be. Advisers should spend the bulk of their time working on developing relationships with their clients rather than pretending to be experts on investment selection.